In the Graeco-Roman world, as in our own, people spoke of the divine, of ‘religion’, ‘cult’, ‘piety’ and ‘superstition’. But they did not share our sense of a disjunction between ‘the religious’ and ‘the secular’, or between theology and other fields of discourse. 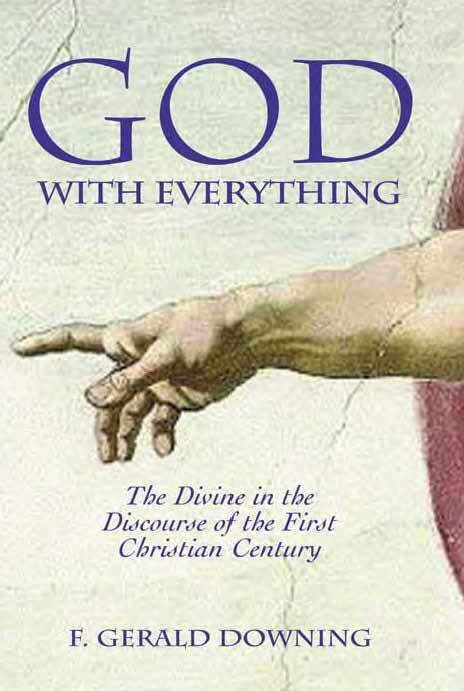 In these fascinating excursions through the world of early Christian and contemporary non-Christian authors, Downing shows how reflective talk about the divine could readily flow into talk about any and every area of current human concern. This was so in an eclectic Stoic such as Dio Chrysostom, but also in a Platonist such as Plutarch. It was true too of the Jewish-Christian Paul, most richly in Romans. And it characterizes Christian theological reflection in the early Fathers. Such philosophical-theological reflections were expected to have ‘cash value’ and be enacted in real life. So, for example, Downing compares the life-styles set forward by Jesus and Paul and other early Christians with those urged by other writers in their world. He shows how Paul’s discussions of divine Torah echo critical Graeco-Roman debates over law and tradition and how early Christian talk about exorcism resonates with suggestions from Dio. Among the other themes treated here are the ‘nature’ of women and their part in public discourse; the logic of ancient and modern historiography; aesthetics in the biblical tradition; and the quest for the historical Galilee of Jesus’ day. Five of the thirteen chapters in this volume are published here for the first time.